If one thing is clear, is that Fallout 76 was one of the most eagerly anticipated games of 2018. The final product, though, left quite a bit to be desired as we pointed out in our review. This is because Fallout 76 failed to provide the great online multiplayer experience in the Fallout universe that fans were hoping for, and instead was a disjointed mess of a game that left a bitter taste in many player’s mouths last fall. And this is highlighted by the fact that some retailers are giving away the game for free in order to shift cheaper items, as one Polish retailer was found to be doing last week. Actually, and as reported on VG247, Polish retailer X-Kom was bundling a free copy of Fallout 76 together with PS4 thumbsticks for the grand sum of $5 US dollars. See below for a picture of the promo, which was taken by Polish website GRYOnline before the retailer shut down the deal. This is not the first time Fallout 76 has been used as bait in a deal by an online retailer, and embarrassingly for Bethesda, a German retailer even gave the game away in order to shift second-hand PS4 controllers. The fact that Fallout 76 is being given away like this suggests some may not have a high opinion of Bethesda’s game, but more likely that the game might not be selling so well now given all the poor reviews and negative word of mouth it’s gotten so far. This has not prevented Bethesda from announcing its 2019 roadmap for Fallout 76 recently, and a bunch of new content is coming to the game in the months to come. Amongst other things, Bethesda will be adding a new main quest, events and features to the game. Coming sooner, though, is the “Wild Appalachia” update, which ships this spring. This includes a new player vs player mode called Survival, new quests introducing a faction called the Pioneer Scouts, a legendary vendor selling unique items, a vending machine for the player CAMP, and more. 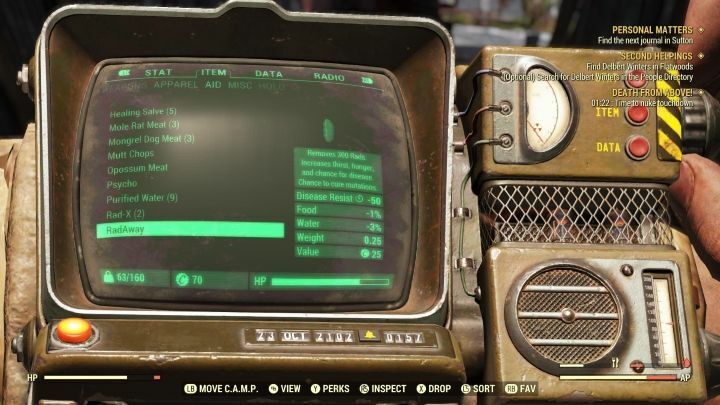 Hopefully, then, the new content coming to Fallout 76 will be worthwhile, and perhaps will make those who gave up playing the game in frustration earlier return to Fallout 76’s West Virginia. It remains to be seen, though, whether Bethesda can revitalise the game like Hello Games did with No Man’s Sky, but it would be no doubt be a great thing if these upcoming patches and updates do end up making Fallout 76 a better buy this year.